Try chocolate chip cookie sandwiches filled with rich Swiss meringue buttercream frosting. They’re sweet treats worthy of a glass of milk and a quiet moment. As far as I’m concerned, chocolate chip cookies are the the quintessential cookie. It was a couple years ago that I found my very favorite recipe, and never thought that there could be any improvement on it. 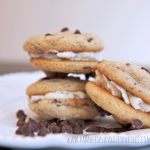 But then my friend Tamara wrote this post about her favorite chocolate chip cookie sandwiches. 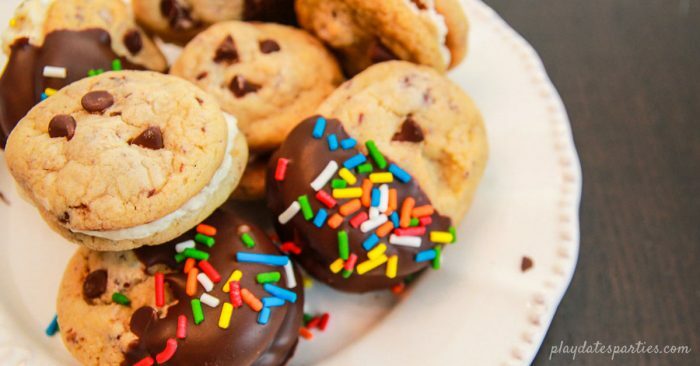 Chocolate chips, and frosting and dipped with sprinkles…oh my! I just HAD to try some. Unfortunately, I don’t live in Massachusetts…so of course I made some of my own. Holy decadence…these things are delicious. And rich! One really is enough…and is best served with a glass of milk. 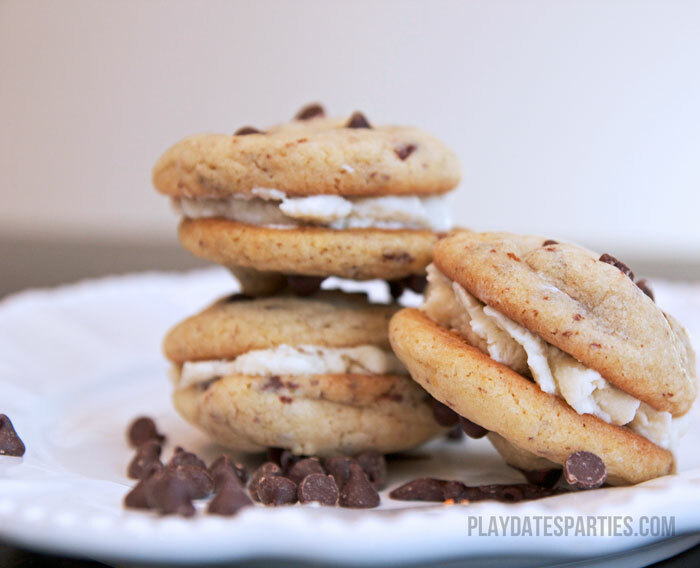 Dipped in chocolate or left to their own glory, chocolate chip cookie sandwiches are a hit! Seriously…these were the first cookies the kids grabbed off our cookie platter. To make the sandwiches, I paired my favorite chocolate chip cookie recipe with swiss meringue buttercream. 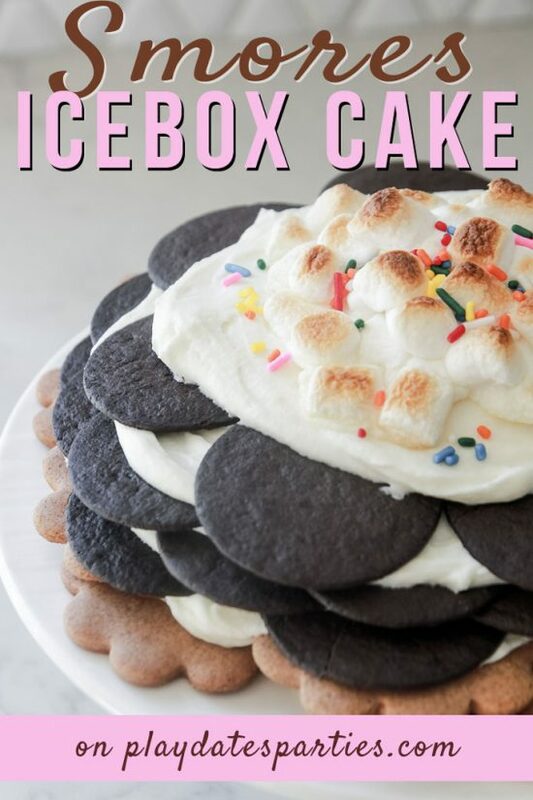 Just take note that Swiss meringue is more delicate than store-bought buttercream, and will also require these cookies to be refrigerated. Try chocolate chip cookie sandwiches filled with rich Swiss meringue buttercream frosting. They're sweet treats worthy of a glass of milk and a quiet moment. In the bowl of an electric mixer fitted with the paddle attachment, cream together butter and sugars. Add eggs, one at a time, mixing well after each addition. Reduce speed to low and add both flours, baking powder, baking soda, vanilla, and chocolate; mix until well combined. 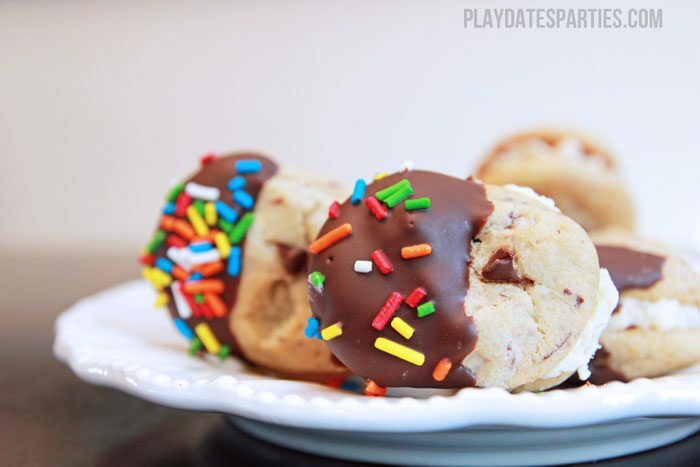 Using a small cookie scoop or melon baller, scoop cookie dough into balls. For oblong cookies, pinch the balls between both index fingers and thumbs to create a log. Refrigerate for at least 24 hours or freeze in ziploc freezer bag. Preheat oven to 350 degrees. Line baking sheets with parchment paper or nonstick baking mats. Place dough balls onto prepared baking sheets, about 2 inches apart. Bake until ever so slightly browned, but still soft, about 8 -10 minutes. Cool slightly on baking sheets before transferring to a wire rack to cool completely. Heat about 1 to 2 inches of water in a small to medium saucepan. Combine egg whites and sugar in a large mixing bowl (Tip: use the bowl from your stand mixer). Heat the egg white mixture, while whisking constantly until the sugar is dissolved and the egg whites reach 160 degrees. There should be no grit left from the sugar. Transfer the mixing bowl to a stand mixer and whip at high speed until eggs have reached maximum volume and bowl is no longer warm to the touch; about 5 to 10 minutes. Add one small pat of butter at a time to the mixture while mixing on medium-high speed. Mix in vanilla. 5.While you’re beating the final mixture, it may appear soupy or thin. Continue beating for up to 20 minutes. If it still appears thin, the butter or egg mixture may have been too warm. Cool in the refrigerator for 10 - 20 minutes and then continue whipping until light and fluffy. To Make Dipped Cookies: Place a few ounces of dark chocolate in a deep, microwave safe container. (I use a mug) Microwave for 30 seconds on high and then stir with a fork. Repeat with 15 second intervals until chocolate is smooth. Dip one side of the sandwich into the chocolate and lie on parchment or wax paper to cool. Sprinkles are optional, but fun! 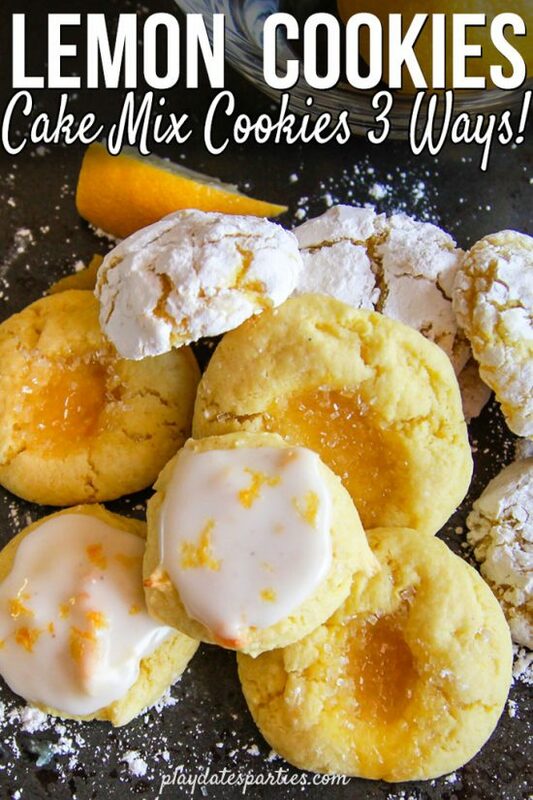 Make sure you have a good cooling rack for your cookies so they don’t melt the frosting. What type of sprinkles would you add? You had me at “1 pound butter”. 🙂 Seriously, these look delicious! Wow–these look so rich and delicious! I’ll definitely have to try! 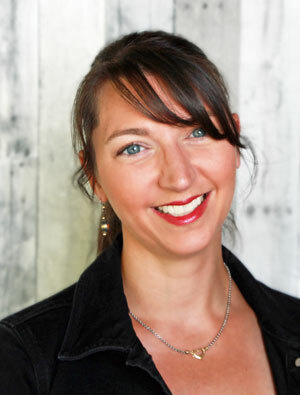 I’m with Katy – a pound of butter makes anything amazing! Wonder if I’m related to Paula Deen?? 😉 These cookies all look delicious! Adding chocolate to anything, even to a perfect chocolate chip cookie, can only make it better, right? 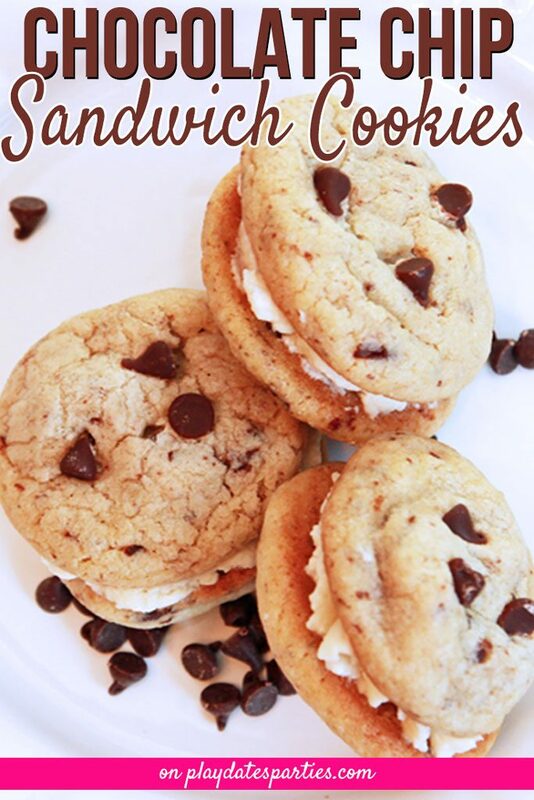 I’m not sure what could be better than a chocolate chip cookie sandwich!! Scrumptious! I love these cookies. They are also so pretty. I think that it would be impossible to go wrong with chocolate chip cookies and frosting – at least for me! Thank you for sharing at Sugar and Spice. Sounds delicious! Thanks for sharing with SYC.